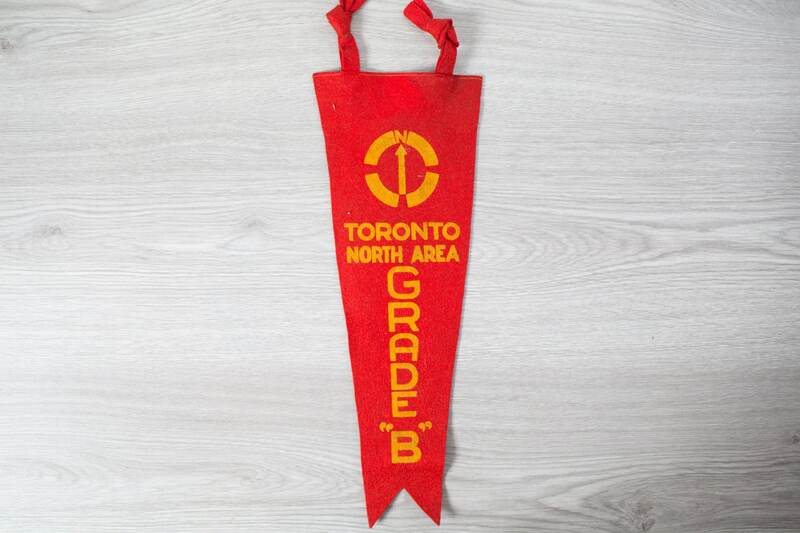 Add a touch of unique Toronto history to your space with this wonderful vintage pennant. 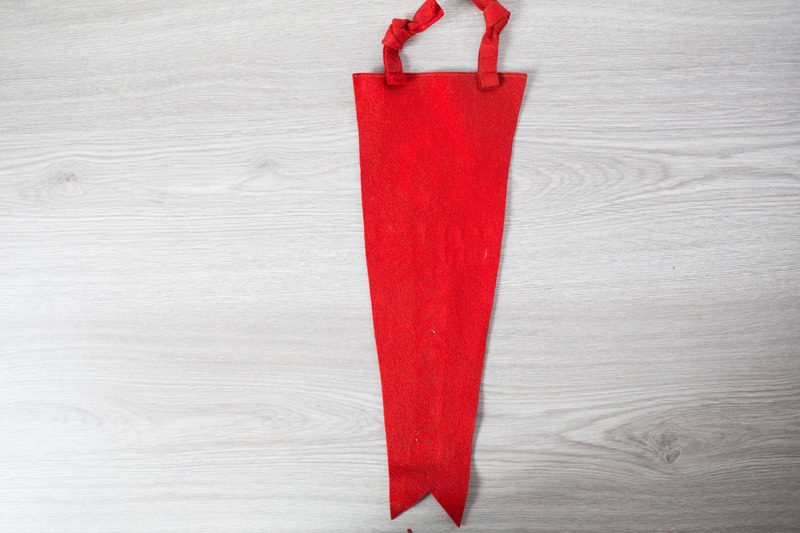 It is the perfect addition to any bedroom, living room, hallway entrance, patio or kids room - it's a great way to inject a pop of colour into any space. 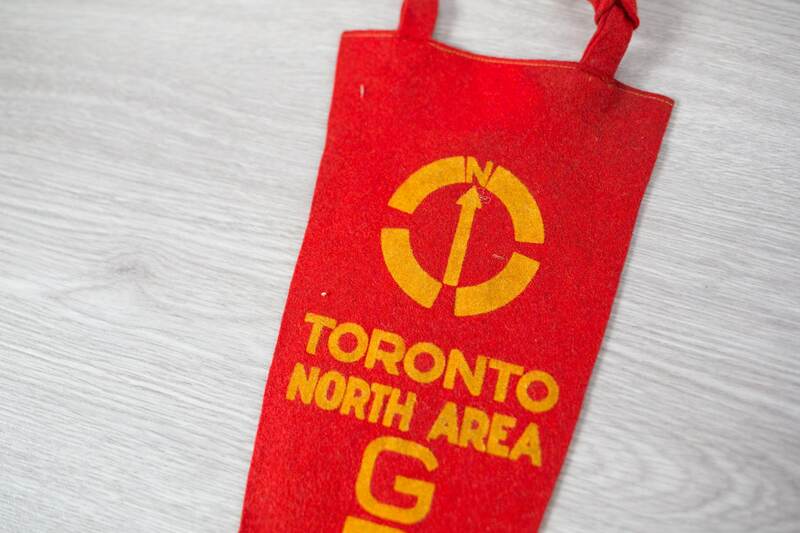 The Pennant is made with felt and can be secured to the wall with nails or tied to a string by using the top felt ties. Excellent condition. 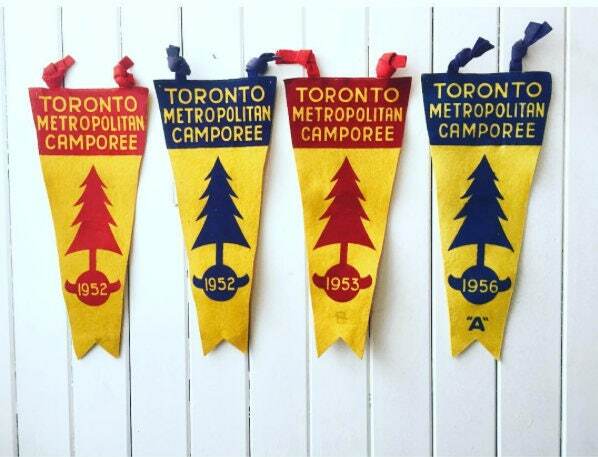 There are tiny nail holes where the pennant was once pinned to the wall but they are only noticeable when closely inspected. See photos. Price includes tracking in Canada and USA. Items purchased from the USA are shipped from Niagara Falls, New York with USPS. Items bought in Canada are shipped from Toronto, Ontario with Canada Post. 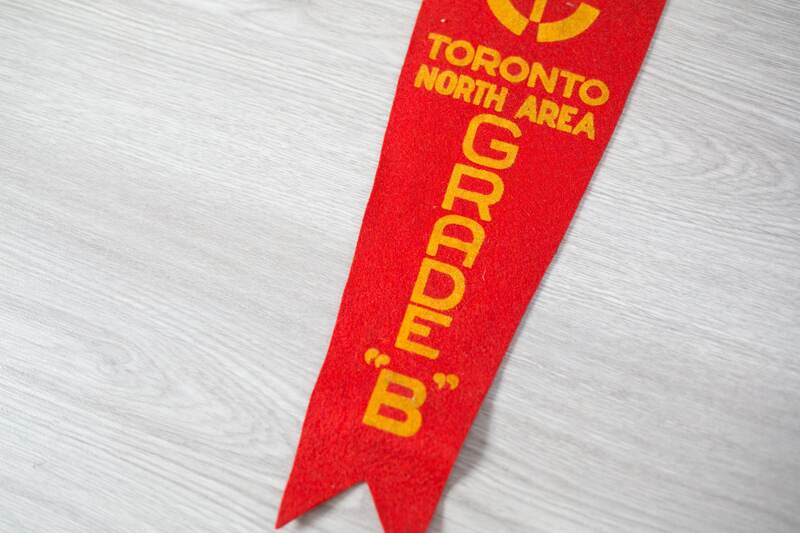 If you reside in Toronto, a pick up can be arranged. Overseas buyers (outside of USA and Canada) can expect the package to arrive in 8-10 days.